The fact that junior Kelsey Carroll owns and frequently wears 12 pairs of “Harry Potter” themed socks basically sums her up. She believes there’s no way anyone can ever own enough crazy socks (no matter the occasion), and there’s definitely no way anyone can love “Harry Potter” more than she does. Outside of school, Kelsey can often be found sitting on her bed editing photos until her laptop battery dies, which is her signal to start doing homework. Before the school day even begins, Kelsey spends her early mornings swimming countless laps until second period starts. She’s constantly surrounded by music, as Kelsey never takes out her earbuds- except when she’s practicing the cello or ukulele. Kelsey will never get tired of taking photos at football games on the sidelines no matter how many field goals and touchdowns she sees through the lens. 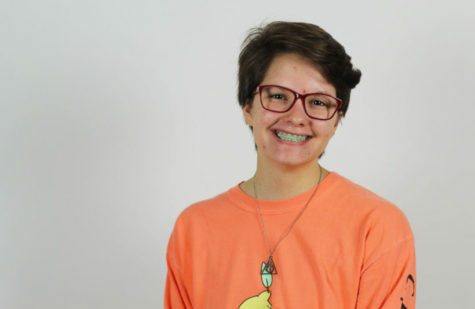 Although she’s pretty soft spoken, Kelsey hopes to put her many words into writing as she continues to write for The Red Ledger this school year. Kelsey can’t wait to tackle her roles as community editor, photographer, and social media editor during her third year on staff.